Bicycles during Bike to Work day, and stopped by the Nevada Bridge energy station. Want to volunteer? Join Peter, Jack, and Ed at the Bike to Work Day table. Wednesday is Bike to Work Day! 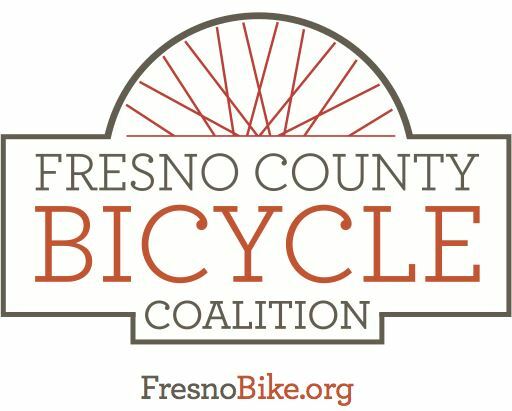 Stop by the pedestrian bridge over Freeway 41 (If you're heading southbound on First Street, turn right on Nevada Avenue, about halfway between Belmont Avenue and Tulare Avenue) for free breakfast and a raffle! You do NOT need to register--just stop by!--unless you are an FCBC member who wants to volunteer. Spend a few minutes and meet some of the families that live in the neighborhood! Parents of children who attend Jefferson Elementary will be at the table with us. Our goal is to tell cyclists how they can safely share the bridge with pedestrians, especially during busy times before and after school when lots of children are walking to school over the bridge. 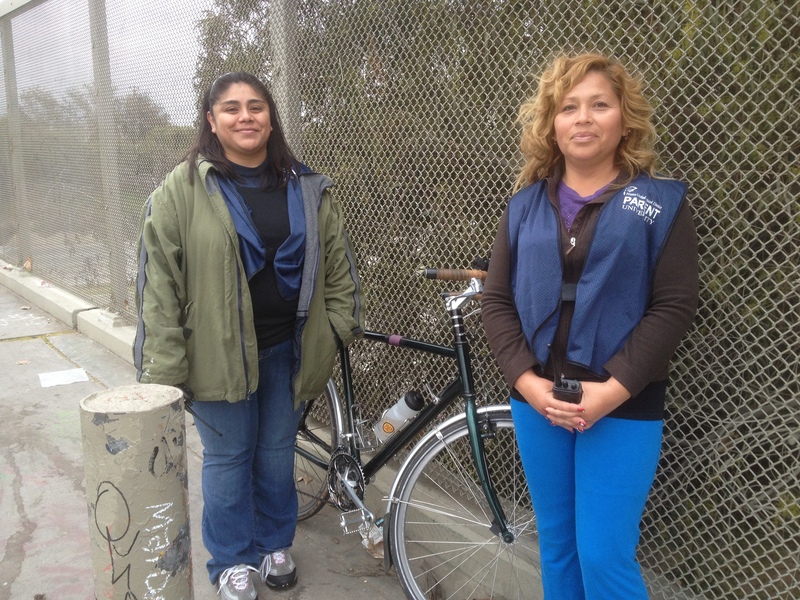 The Nevada Avenue bicycle/pedestrian bridge is a treasure and a community asset. 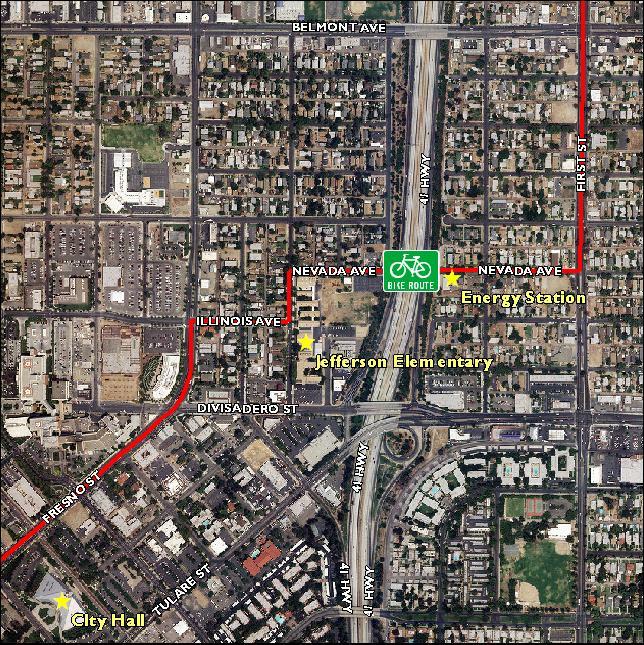 Many cyclists and pedestrians use it as a vital link in a neighborhood that is split by the freeway and surrounded by busy, congested arterial streets. The FCBC wants cyclists and pedestrians to use the bridge, and the tips and education we offer will reduce the chance of conflict on this narrow bridge, and help parents feel more confident about their children walking to school.